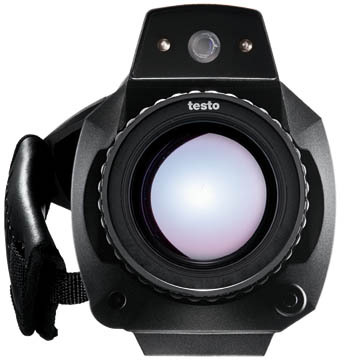 The Testo 890 is a revolutionary imager changing the thermal industry with Camcorder styling, High Resolution 640 x 480 with Megapixel option, High Temperature & Sensitivity and Software. The Testo 890 thermal imager has changed the ground rules. A breakthrough product loaded with benefits that provides superior application versatility due to large image array (640 x 480) SuperResolution (1280 x 960), very high standard sensitivity (40mK), High Temperature option up to 2192°F and interchangeable lenses, Radiometric video and detailed analysis reporting software.